Jean Bugatti was just 30 when he died in a freak auto accident in 1939; he veered into a tree to avoid a drunken bicyclist who had sneaked onto a road where he was testing one of this company’s race cars – the Type 57 C that had just won the 24 Hours of Le Mans. The auto company, and his father, company founder Ettore Bugatti, never recovered from the loss. 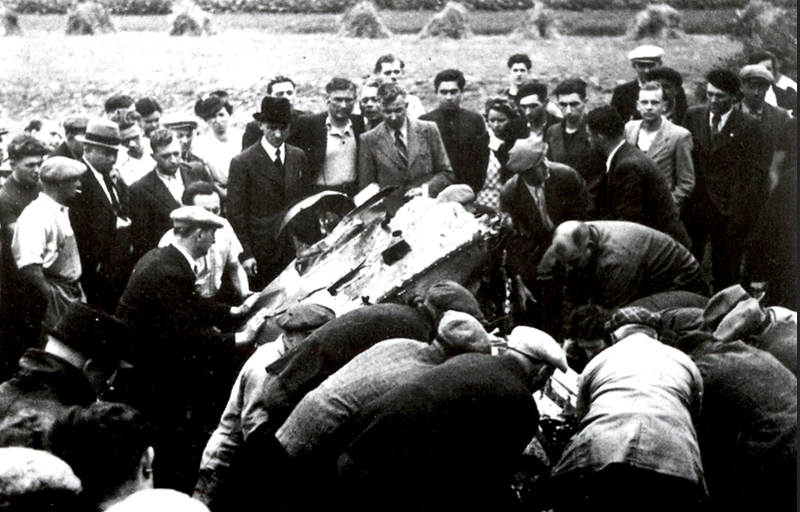 Rescuers try in vain to save Jean Bugatti. The most expensive car unveiled at the 2013 Frankfurt Motor Show was Bugatti’s tribute to its lost legend – a 2015 Bugatti Veyron 16.4 designated as the Grand Sport Vitesse “Jean Bugatti” special edition. 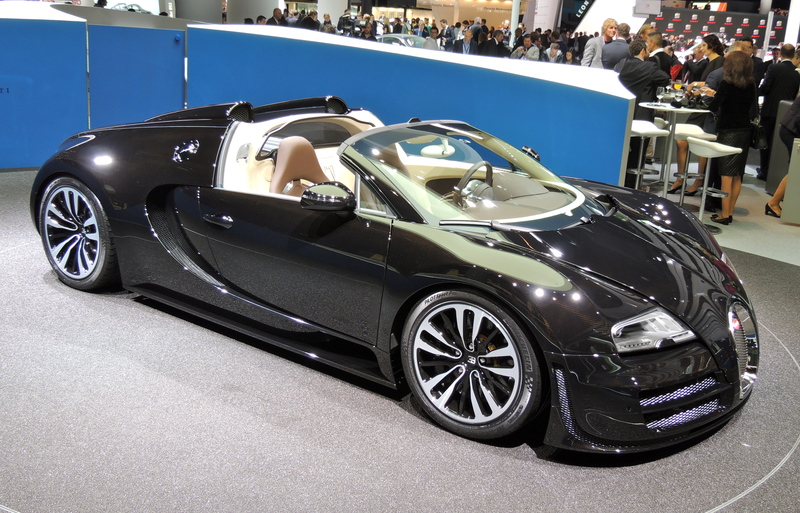 The list price, Bugatti announced, was $3 million. A base model Veyron costs about $2.5 million, so that three mil includes a price bump of a half million – the equivalent of a fully loaded Rolls-Royce! Three million is a price a cash-flush buyer would presumably be willing to pay for extreme exclusivity, as Bugatti promises only three of them will ever be made. Exclusivity may be becoming an issue with Veyrons, as they have been around eight years or so now, and to date around 350 have been produced. This is the second in a series of six special “Legend” edition models Bugatti planned. This one enjoys the unique added cachet of being named in honor of someone very special, who was indeed a legend, not only in company history, but automotive annals as well. The cars he designed have become some of the the automotive world’s most honored, desired and collectible. 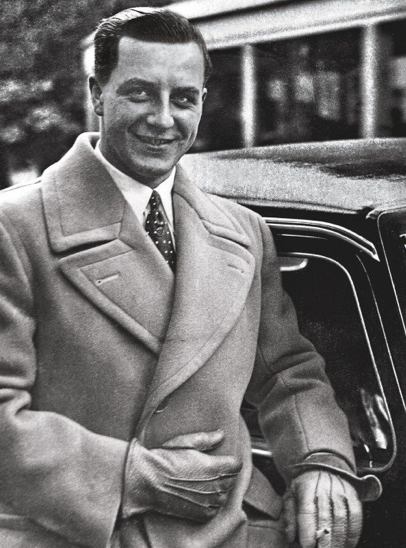 Jean went on to design Bugatti classics such as the Type 50, Type 55, and Type 57. By 1931, when he was 22, he was essentially running the company. The special edition model introduced at Frankfurt is patterned after the late 1930s Type 57SC Atlantic “La Voiture Noire” (“The Black Car”) designed, built and driven by the man himself. 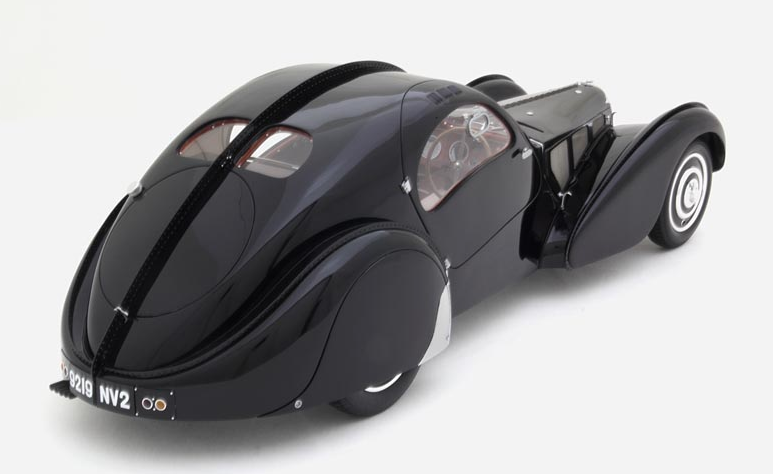 La Voiture Noire disappeared in 1941 and has never been seen again; a similar model sold for $30 million in 2010. If La Voiture Noire itself ever re-surfaced, its value would be almost incalculable. 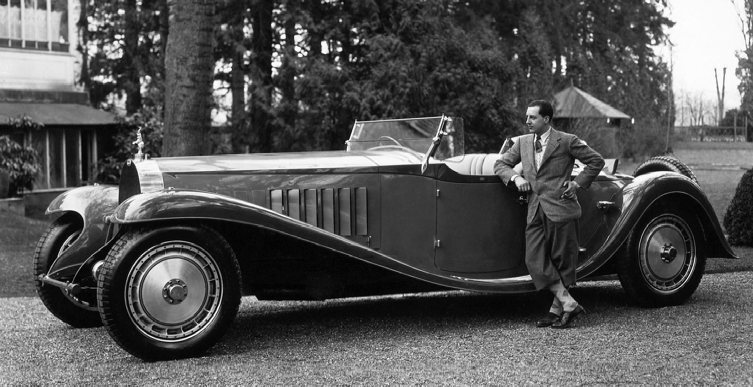 Bugatti and his glorious Royale. So, viewed in that context, perhaps the 2015 version of La Voiture Noire is a relative bargain, especially if it subsequently becomes as collectible as has anything else with Jean Bugatti’s name attached to it. But what makes the new model worthy of its name, not to mention its rarified price? For one, it has no paint. Its exterior surfaces are black carbon fiber, covered with clear coat. The iconic horseshoe grille, emblems and other touches are made of platinum. The interior is fully finished in leather, in the same beige and chocolate hues found in La Voiture Noire. Jean Bugatti’s signature is also etched, or stitched, into various trim pieces. Although nothing can bring Jean Bugatti back – or his vanished “La Voiture Noire” for that matter – this special edition at least tries to remember him and his automotive works of art.